Was Ted Cruz's Father Linked to the JFK Assassination? Was Ted Cruz’s Father Linked to the JFK Assassination? A disreputable web site posited a link between Ted Cruz's father and Lee Harvey Oswald based on negligible evidence. Previous questions have surfaced about the 1960s activities of Rafael Cruz, Sr., the father of GOP presidential hopeful Rafael Cruz, Jr. (Ted Cruz). Based on the presence of the elder Cruz, an anti-Castro activist, in Dallas and New Orleans before the November 22, 1963, assassination of President John F. Kennedy, there is a strong reason to believe that Cruz was associated with Central Intelligence Agency’s anti-Castro operations. Just those first two paragraphs were loaded with plenty of weasel phrasing: The article doesn’t elaborate on exactly what “questions have surfaced about the 1960s activities of Rafael Cruz, Sr.” (other than the far-fetched ones the author is raising) but nonetheless concludes “there is a strong reason to believe” that Rafael Cruz, Sr. was somehow involved with the CIA’s “anti-Castro operations” (which, even if true, is not the same thing as being “linked to the JFK assassination” unless the CIA had a hand in killing President Kennedy). Furthermore, a Cuban hired by alleged JFK assassin Lee Harvey Oswald and who bears a striking resemblance to Cruz is seen in an iconic photograph of Oswald and a group of Cubans Oswald hired who were distributing “Hands off Cuba!” pamphlets in New Orleans in the summer of 1963. 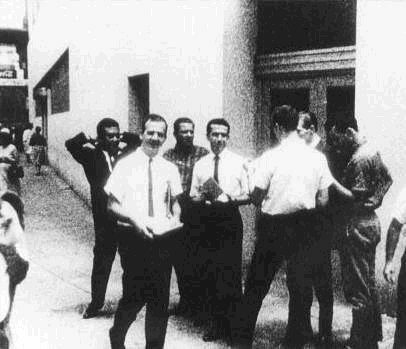 The photo of Oswald and other Cubans he hired for the Fair Play for Cuba Committee was taken outside the International Trade Mart in New Orleans on August 16, 1963. WMR has been informed by a source that the individual to Oswald’s left is none other than Rafael Cruz. 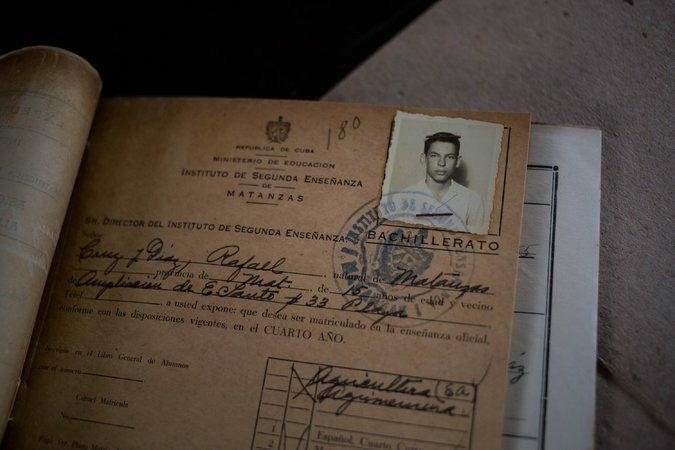 The photograph at the trade mart was favorably compared to a 1954 photograph of Cruz attached to an official Cuban Ministry of Education document. In 1959, Cruz married Julia Ann Garza and, after Cruz graduated from the University of Texas in 1961, the couple moved to New Orleans from Dallas after the birth of their second daughter on November 18, 1962. WMR also doesn’t explain how it could possibly be of any significance that Rafael Cruz, Sr. and his wife once lived in Dallas, given that they moved out of that city in November 1962, a full year before the JFK assassination, and more than six months before President Kennedy even decided he would be visiting Texas in November 1963. Evidently the conspiracy in which Cruz and Oswald were involved was so vast, they were able to predict the movements of President Kennedy several months before Kennedy himself planned them.